A line reactor is an inductor wired between a power source and a load. In addition to the current limiting function, the line reactor serves to filter out spikes of current and may also reduce injection of harmonic currents into the power supply. For harmonic reduction purposes, our design typically applies 5% impedance line reactors to the input of motor drives. This reduces input harmonics to 35% total harmonic current distortion (THID) or less and minimizes the effects of harmonics on motors and other devices powered off the same electrical system. Badger Magnetics’ Line Reactors / Load Reactors are a state-of–the art solution for absorbing everyday power line disturbances that can damage or shut down variable frequency drives (VFDs) and other sensitive equipment. They work on both the line side and load side to give you an economical way to reduce nuisance tripping, reduce harmonic distortion and minimize long lead effects. 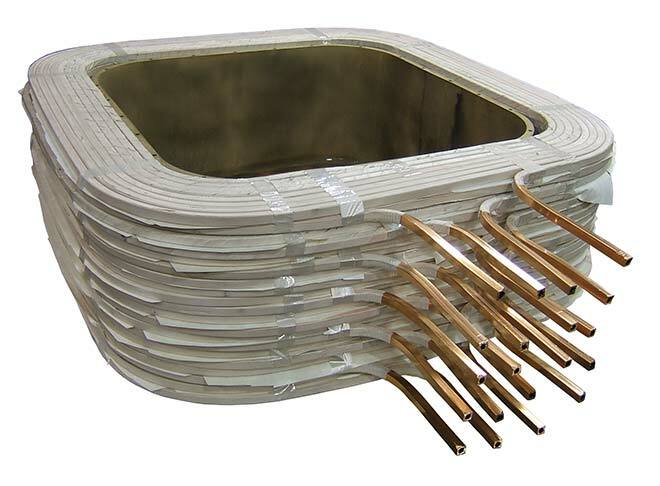 The line reactor design also reduces audible noise, and improves structural and moisture integrity. Put an end to power spike issues and minimize downtime with our RLW Line/Load Reactors. Badger Magnetics designs and manufactures products that are used in the mining industry, the magnetic tape industries and other OEM’s that require magnetization. These products may be water-cooled or air-cooled and are designed specifically for the customer’s needs. We also design and manufacture oil filled transformers. Typically these are high voltage products that require an excellent means of insulation. When necessary these units are filled under vacuum to ensure an air-free transformer enclosure. Badger Magnetics designs and manufactures impedance bonds used in railroad track circuits. Typically impedance bonds are found in electric systems including light rail, metro, rolling stock and suburban. These are environmentally protected and can be installed either above ground or below ground. Custom mounting and fittings are available to suit your needs. Another service that Badger Magnetics offers is turnkey assembly for your finished products. We can procure all components and offer the value added service of complete assembly. If you would like to simplify your manufacturing processes and procedures, consider using Badger Magnetics value added services. We offer extensive encapsulating materials based on your needs. By using custom molds your product will be permanently protected from the environment. Materials can vary including sand resin material sand epoxy compounds.